Development of a prestige year-end box. For women who desire a range of global anti-aging skincare creams, using the latest technologies. Creation of the box on the origami theme, linked to the premium positioning of the brand. A design that sticks to SHISEIDO’s identity, combining discovery and folding, strongly embodying contemporary Japan. The lotus, symbol of the brand, closes the box. 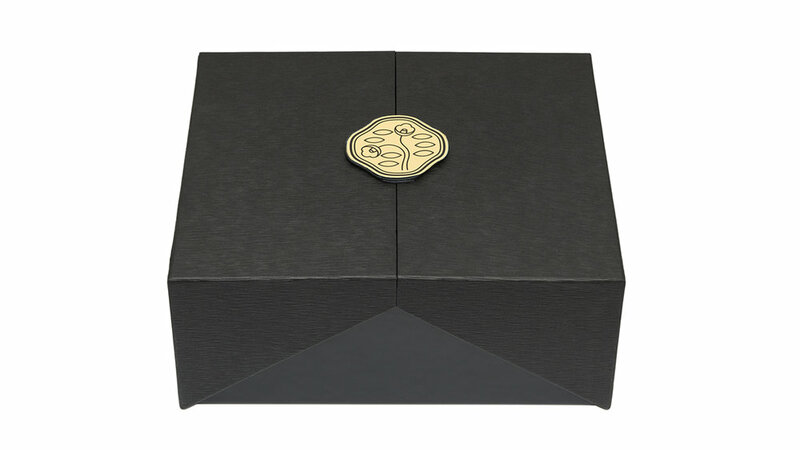 The latter is wrapped in a textured black paper and the inside of the box is golden. 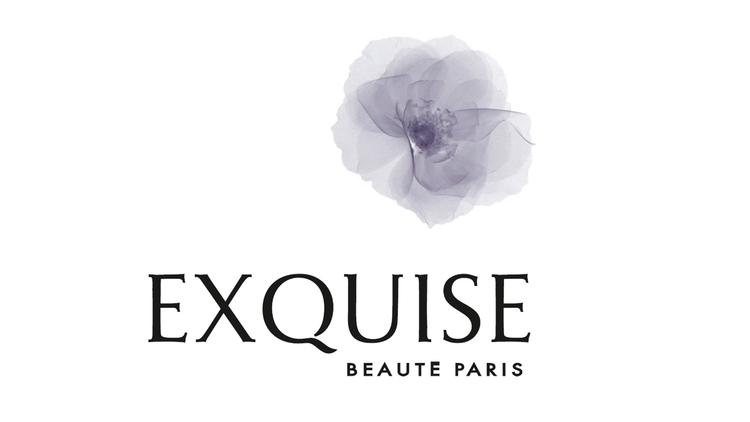 Global design for a brand of natural soaps made in France and intended for Chinese consumers. The Ecrin de Fleur soaps are made from natural ingredients and respect the environment, presenting various benefits for the skin. Creation of the brand name, from its identity and graphic universe to the design of its packaging. Creation of a strong and spiritual symbol to represent the brand: the flower of life, recognized universally and that can be found in many temples in China. This flower emits a harmonious and beneficial wave: a symbolic rosette of the elements of nature. Reflecting the natural state of mind of the brand, it is an identity that underlines the link between well-being of the body and the mind, and reveals the properties of its soaps: the soaps of the brand regenerate, rebalance, harmonize, energize and protect from external aggressions. - A refined aspect, echoing the quality and purity of the ingredients, representative of the spiritual values of Ecrin de Fleur. - The importance of nature, with a herbalist design illustrating the perfume of each soap. Work on a color range consistent with the soaps' perfume while creating a beautiful harmony range. The naming of the brand was chosen to reflect the intrinsic qualities of the products. The flower of life (fleur) as a symbolic and inseparable symbol of the brand's visual identity, and the jewel case (écrin) to emphasize the precious qualities of its products: a ritual of care that contains many benefits for the body and the mind. Iconographic design choices to underpin the brand's premium and sensory positioning and to support its strategic flagship product launches. Creation of hair colour kits and a color library to help clients in their at-home color choice. Bringing renowned colorist Christophe Robin's salons at home. Unifying concept built around the bayadère for the launch of the new professional hair colour range, Carmen, and rendition via multiple media types. Creation of the graphic environment for the launch of a new brand of natural, sensory and affordable cosmetics for professional use in beauty institutes, salons, nail bars, etc. Creation of the graphic environment for this new range of hair care, which offers “the perfect blend of science and nature with its plant cycles." Therefore, we chose a graphic convention that brings together elements of the plant world and symbols of vitality and scientific rigour.